Gingerbread cookies, snow people, reindeer, and the true holiday spirit come magically alive in this holiday artwork. The most enjoyable holidays are full of fun gatherings, with lots of love, ingenious misadventures, and good natured laughter. Delightfully full of MISCHIEVOUS good fun. Gingerbread cookies are particularly fun because they seem to come to life as they are decorated and baked. On a Christmas Eve night, a little while ago, I started wondering about gingerbread cookies. Full of spice and decorated with friendly charm, they forever seem ready for an adventure. So the gears and sugar plums in my head started to turn, and ask important questions like: What if gingerbread cookies could come to life? How would that happen? Why? Then the stories started to flow. 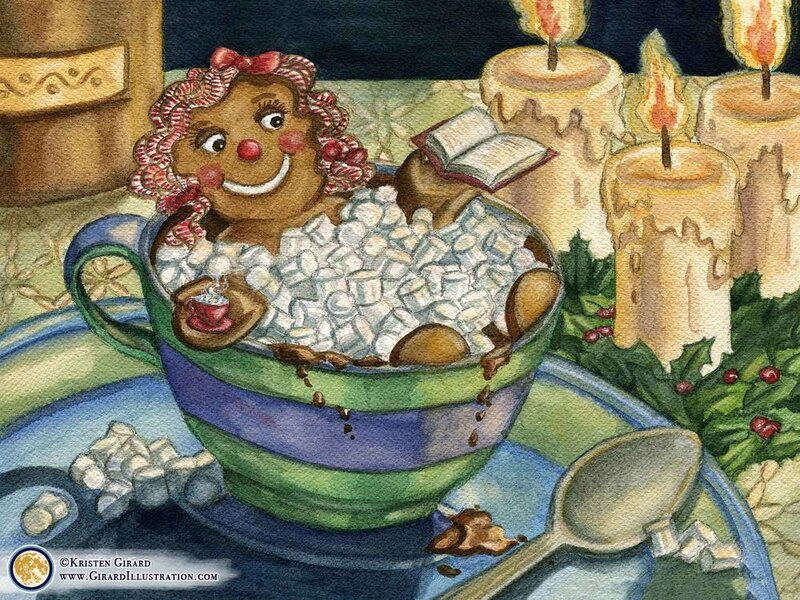 Like an elf in Santa's workshop, I am working away on the Gingerbread Friends and their adventure filled stories. I'll let you know when they are ready for your enjoyment! Sign up here to get behind the scenes looks at bringing the Gingerbread Friends and more to life. Want to know when new art & stories are ready to meet the world? We love creating art & stories! Sign up here to get first dibs on new art & story treasures for the heart & soul. We respect your privacy and guard it like Santa does the super duper secret location of his North Pole haven of good cheer.